I can't play multipayer because when I turn both remotes on it wont le.. I want to get mods but it has to be a leagl way (sorry if I spelled t..
How can I get the nether reactor core block? The brick I want is blue coloured with a yellow centre. Used for guilt..
My son changed the language on mincraft to Spanish on the PS3. I can't.. 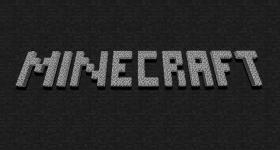 This is our really useful and unofficial guide to the mega game which is Minecraft. Use our guide to help you get started in the game and find out t..
Search for more answers for Minecraft: PlayStation 3 Edition or ask your own question here. No discussions open for Minecraft: PlayStation 3 Edition at the moment.